The Group Managing Director, Nigerian National Petroleum Corporation (NNPC), Dr Maikanti Baru on Thursday said over 600 insurance brokers and underwriters participated in the bidding of the corporation’s 2018/2019 insurance business. 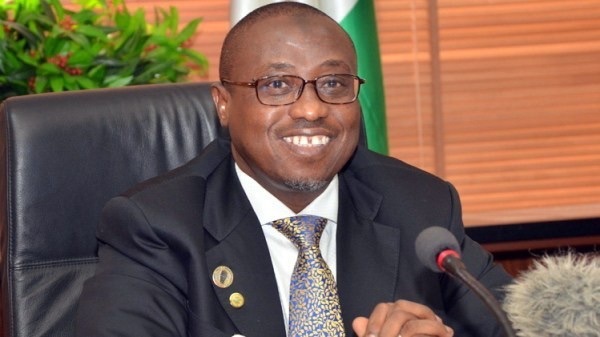 Baru disclosed this at the 2018/2019 bid opening for Insurance Companies and Brokers for NNPC Oil and Asset Liability, in Abuja, adding that the corporation had saved about 30 million dollars from insurance premium in the past three years. He said that the Corporation had insisted on transparency in carrying out its bidding processes, saying that this had brought about positive changes in business transactions. “The bidding process has helped NNPC to bring in more participants in all it is doing, especially with the Insurance brokers. “Last year, about 500 insurance firms and brokers participated in the process and this year as at the close of submission by noon, we have recorded over 600 participants. This multiplicity has helped the corporation year in and year out, over the past three years; we have saved about 30 million dollars from what we pay in insurance premium. “The trust of this result is transparency and openness, which has improved the chances, for new participants to participate in doing business in the sector,’’ he said. He added that the Corporation carried along the National Insurance Commission (NAICOM), Bureau of Public Procurement, Nigeria Content Development Board and some Non-Governmental Organisations in the bidding process. He commended the support of the Centre for Transparency Watch for keeping the Corporation on its toes to ensure the right things were done. He urged the team that would work on the bid to work with speed and accuracy to improve on the delivery of the outcome of the bidding. “What we are doing is in line with President Muhammadu Buhari’s mandate on transparency and accountability in conducting business in the country,’’ he said. “In terms of value, if you look at our oil assets we are running into millions of dollars, the non oil which is dealing with lives, property and others, is also is in billions and almost trillions of naira property. “So, it is quite an enormous volume of assets and through the years we have improved on the situation,” he said. Group General Manager, Risk and Insurance Management, Modupe Bamike, noted that focus of selection would be on ascertaining the technical capacity of insurance companies and brokers. This, he said, would help to identify the strength and capacity of the companies in business transactions. He promised that the corporation would continue to ensure transparency and compliance to the law in carrying out its duties.